Today’s applications are facing ever-growing expectations and demands. End users expect applications to be available 24/7 with near-zero defects. Application updates are expected to be instantaneous and seamless. And software development teams are expected to create, update, and maintain applications in reduced time with limited resources. As a result, software development teams are always looking for better ways to develop and deploy applications in order to meet these ever growing demands. Container development is popular among software development teams today because it greatly simplifies the process of building and shipping apps. With containers, teams can now develop, deploy, and package software in a way that enables applications to be released and updated in an easy and fast way without downtime1, thereby achieving unprecedented efficiencies in software delivery. But in order to properly leverage containers at scale, you will likely need a Container Orchestration platform – like Kubernetes – to handle the automated arrangement, coordination, and management of your software containers so that your containerized applications run where you want, when you want, and helps them find the resources and tools they need to work. There are several Container Orchestrators on the market other than Kubernetes, such as Docker Swarm, Marathon, ACS (Azure Container Service), Amazon ECS, and a few others. They all have their place and benefits. So why choose Kubernetes? Let’s review some of the most popular features that make Kubernetes a good choice for your organization. Kubernetes is supported on all the major cloud platforms, including Azure, Amazon AWS, and Google. And the ability to flip between these different cloud platforms is one of Kubernetes biggest benefits. Each cluster of nodes simply requires the infrastructure on which you can place your Pods (which contain your Containers), regardless of the platform on which your machines are hosted. For larger systems, this allows you to reduce costs across all available cloud platforms if your application load requires a higher level of resource management with little to no down time. Simply put, you are not vendor locked. Use whatever platform benefits your organization the most at any given time. Rolling updates allow deployment updates to take place with zero downtime by incrementally updating Pods instances with new ones. The new Pods will be scheduled on Nodes with available resources. This means that you can deploy new versions of your application without any downtime by performing updates without affecting application availability. Kubernetes does a great job at monitoring itself. When Pods crash, for example, it will simply restart them. End users and developers might not even notice Pods crashing, even if they crash multiple times a day. Of course, you will still want to know if there are problems, which Kubernetes also can easily do. But Kubernetes’ ability to keep a seamless experience for developers and end users without noticing crashes is impressive. Canary deployments are a pattern for rolling out releases to parallel environments, each of which can be scaled separately. For example, you could have your live production environment up and running and deploy a new version of your application in parallel. You can simultaneously scale up the new version while scaling down the previous version, assuming everything is running as intended. You can always fall back to the existing version as well, since it hasn’t been taken offline yet. Kubernetes can give you greater reliability and stability for your application through the use of dynamic scheduling. However, achieving this superior level of high availability and removing single points of failure isn’t without its complexities. 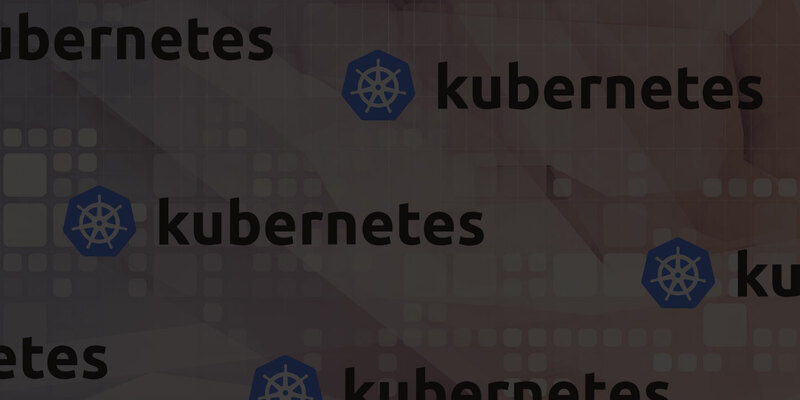 Just know that it is possible with Kubernetes, making Kubernetes very powerful. Cost efficiency is something to keep in mind with this level of high availability, which may or may not be worth the money and effort, depending on your business requirements. One of the primary reasons for the creation of Kubernetes is to manage microservices. Microservices – also known as the microservice architecture – is an architectural style that structures an application as a collection of loosely coupled services, which implement business capabilities.2 The microservice architecture enables the continuous delivery/deployment of large, complex applications and has been growing in recent popularity (especially with larger companies like Netflix, Amazon, and Paypal now leveraging it). Managing your deployment and release pipeline is already challenging enough between multiple servers and environments. With microservices, devops becomes even more difficult. This is where Kubernetes comes in as an excellent solution for managing your microservices architecture. All the existing benefits mentioned in this article apply to your microservices solution… just at a larger scale, thanks to Kubernetes. Given Kubernetes powerful tooling and functionality, devops becomes a lot easier once you get past the steep learning curve. With all the powerful benefits of Kubernetes and the wide support across the major cloud platforms, it is no surprise that Kubernetes is quickly becoming the de facto standard among Container Orchestration platforms. Even Microsoft has established Kubernetes as the main standard for their Azure container services with its introduction of Azure Kubernetes Services (AKS) in October 2017 (which is now generally available as of June 2018). All in all, Kubernetes has been strongly embraced by the tech community at large, and it’s where smart companies will be investing their resources for managing containers and building cloud-native applications. Container development is definitely taking the application development world by storm. And with production-grade Container Orchestration tools like Kubernetes, you can rest assured that your containers can be easily and efficiently managed. If you’re interested in finding out more about container development or have further questions about how Kubernetes can benefit you, Imaginet is here to help. As a leading provider of application development services for over 20 years, Imaginet can help you and your software team gain unprecedented efficiencies by adopting container development and leveraging powerful tools like Kubernetes.